Adam is one of our selected scholarship recipients who will be attending University of Northern Iowa this fall. Adam is interested in literature, ancient history and business management. He likes woodworking, art, songwriting and the outdoors. Welcome Adam! We see a bright future for you. Makayla will be attending Northwestern College this fall. Makayla has been inducted to the National Honor Society and has received numerous awards for her artistic abilities. She is entered in English, ceramics, drawing and painting. She is considering majoring in Social Work, Art Education or to become a Personal Physical Trainer. We welcome you Makayla, and wish you much success! Marc is interested in Engineering, Math and Business. He is pursuing a degree in Computer Engineering and Software Development. He likes weightlifting, basketball and volunteering at church. Referred to as a leader and an independent by past teachers, he has a bright future in front of him. Isaiah is excited about pursuing a degree in computer science at Iowa State University, specifically in software engineering. While in high school he built, and programmed a surgical robot arm and discovered his passion for computer programming. He likes reading, listening to music and being with friends. He wants to make his family proud and prove that he can do anything he sets his mind to. Shania always keeps her mind on the future to overcome any obstacles she encounters along the way. She is thrilled to be at University of Northern Iowa and has interest in Psychology and sociology. She enjoys hiking, animals and art. Shania wants to spread love and kindness through creativity. 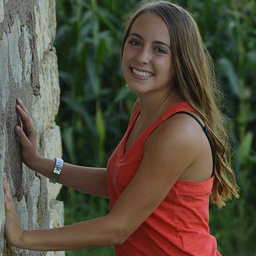 Kasandra holds records in cross country and track at her high school and is into physical fitness lifting and biking. She plans on pursuing a degree in exercise science and physical therapy. She has a passion for community service and giving back to the community and wishes to combine her interest in physical therapy and helping others. Nicole wants to help children realize the importance of a good education and has a passion for advocating for kids with special needs. She plans on pursuing a degree in Elementary and Special Education specializing in behavioral disorders and helping troubled youth. Nicole loves horses, animals and being outdoors. Alexander has received many awards for chorus, speech, band cross country and academics, and is interested in majoring in Music Performance. Through opposition and struggle, Alexander chose to see better days through willpower and grit. Alexander strives to be the best version of himself because there is always an option for greatness. An Honor Roll student, Deonte has many interests including politics, banking and government, video games and sports. While he has not yet declared his major, he is considering majoring in economics or social work with a minor in German and wishes to travel to German speaking countries. After receiving the awards of both Foreign Languages and Mathematics Student of the Month, Most Outstanding Novice in Debate, and for her volunteering activities in high school, Haley is attending Morningside College where would like to earn degrees in Counseling Psychology Sociology and Spanish. Haley enjoys exercise, coffee, cooking, traveling, and socializing. Talia earned both varsity and academic letters, a government participation achievement, and took part in hundreds of hours of volunteer work during her high school career all while being a homeless youth. Talia plans to earn her Bachelor of Fine Arts in Graphic Design. She is a fan of tattoos, the outdoors, team sports, reading, and is a proud member of the LGBT community. She is proud to be a role model for those who are going through the same struggles. Daniel Plans to major n Fie arts and Design. After graduating he plans on being an artist/freelance designer and opening an studio to help other artists sell their artwork. Daniel is also interested in World History and Literature. Having achieved honor roll for three semesters and multiple SILC Conference Basketball Teams Nate graduated from Keota High School. He plans to major in Business and to obtain a coaching degree simultaneously. Nate loves competition and participated in football, basketball, and show choir while attending Keota High. After graduating college he plans to work as a radio jockey while coaching high school or college basketball and to work toward earning his master's degree. Renee has been playing the violin since the 5th grade and has always felt that it was a source of escape from everyday's stresses and problems. She ended high school by lettering 7 times in orchestra, playing in the Wartburg College Orchestra, and at the all-Northeast Iowa Conference Music Festival. Renee has declared her major in Music Therapy. She would like to own a music therapy business and eventually become a foster parent. After becoming apart of the National Honor Society in high school, Andre moved on to Iowa State where we knew he wanted to work with computers. He has since become a Computer Engineering major with plans to get into cyber security after graduation. Andre looks forward to using his skills to stop crime and put a dent in the fastest growing field of criminal activity in the world. Breanna is a very social person and enjoys meeting new people and making plans with friends. She enjoys drawing, painting, and cuddling her cat. Breanna is majoring in English with plans to become a middle school English teacher and is excited to become the first person in her family to attend and graduate college. She looks forward to inspiring young people to gain knowledge and fulfill their dreams through a good education from a teacher who is invested in their success. She is a strong believer in positivism and overcoming obstacles and hopes to inspire others around her to feel the same way.